Air Optix Aqua are monthly lenses that feature an exceptionally high level of oxygen permeability. They are approved for occasional overnight wear, and their 33% water content means they're comfortable throughout the day. 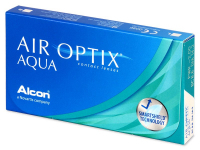 Air Optix Aqua contacts are monthly disposable lenses by Alcon designed for daily wear. 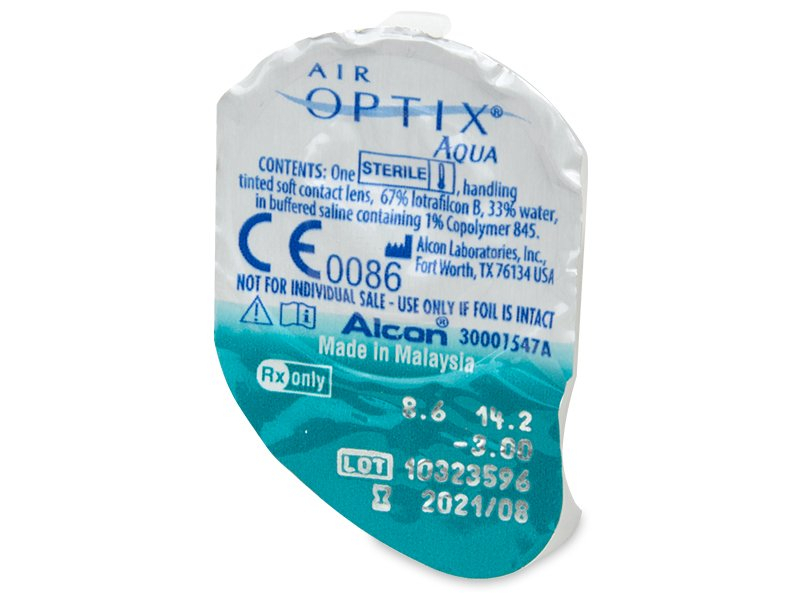 The silicone-hydrogel material used in these contact lenses is Lotrafilcon B (67%) and the remaining 33% is water. 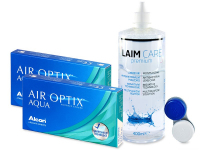 These contact lenses are equipped with a high level of oxygen permeability, which allows for occasional overnight wear. 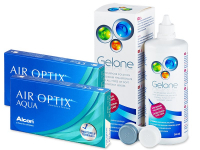 This package contains three lenses. Read more about Air Optix Aqua. 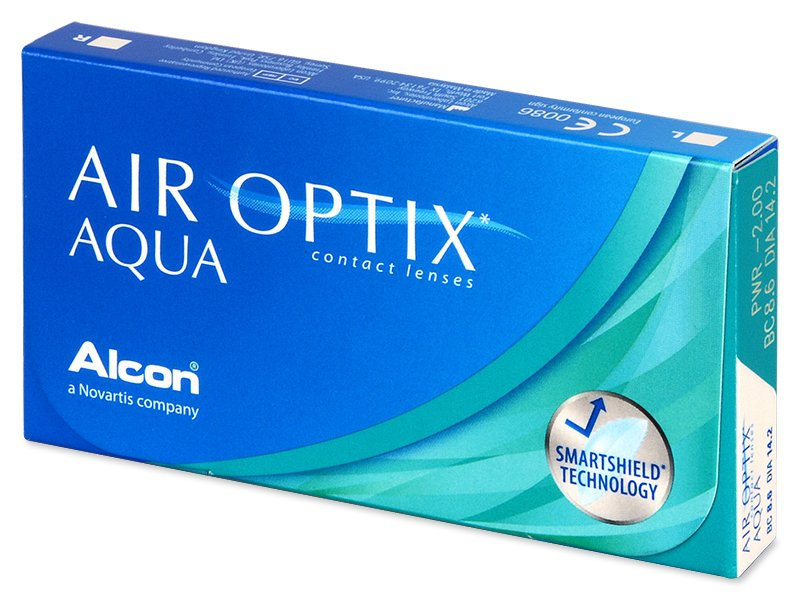 You really do notice the difference in terms of breathability when wearing these lenses. 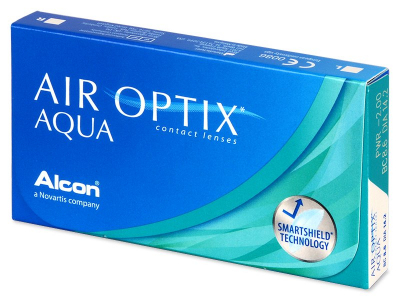 Do you sell Air optix aqua astigmatism contacts?